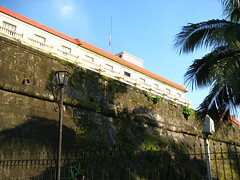 Upper left: Outside the walls of Intramuros. 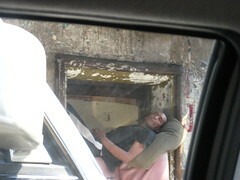 Upper right: Afternoon siesta in a pillowed nook by the street. Lower left: Family gathering on a highway island. 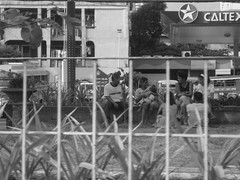 Lower right: Father and son on Pasay Road in Makati. “Outside the walls of Intramuros” is rather oxymoronic, isn’t it? Aha, someone who knows Latin saw what I did there!